Lock in a great price for La Piazza – rated 8.5 by recent guests! Breakfast provided every morning (no matter how early you wanted it) & very helpfull landlady, & supermarket next door. Nice place, very quiet, most comfortable bed EVER. Convenient to train station. Everything was great and the hosts were very nice! 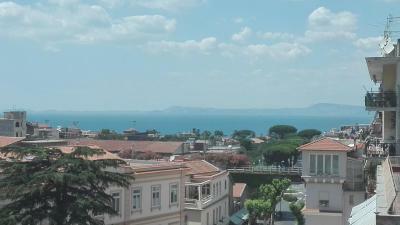 This apartmen has a great location in S. Agnello, close to the bus station, Circumvesuviana, bakery, shop and approximately 30 minutes by walk to Sorrento. 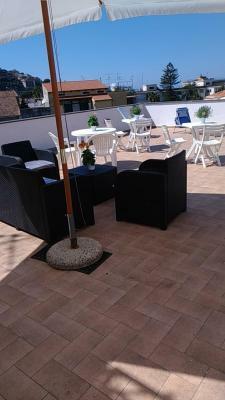 Great location next to the train and bus stop with easy access to Napoli, Sorrento and rest of Amalfi coast. Room is big, clean, comfortable and staff are very friendly. 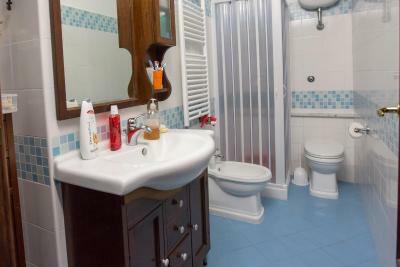 Nice room for the good price in central location, enjoy your stay in Campania :)!! Very good choise! Lady was awesome :)!! Grazie!!!! Very close to train station and supermarket. Good connection to Amalfi Coast. The host and her son was friendly. Nice decoration, clean and friendly host. The location is very good. Location was amazing- 200 m from the train station, 15min walk to the beach, 30mins walk into Sorrento. Very clean and tidy. Great balcony views. Breakfast was pretty standard and we were given cherries and apricots as well which were delicious! The location, customer service and cleanliness is fantastic and definitely a plus. One of our best sellers in Sant'Agnello! La Piazza has accommodations with a terrace and free WiFi. Providing a balcony, specific units are air-conditioned and have a dining area and a seating area with a flat-screen TV. A fridge and coffee machine are also offered. 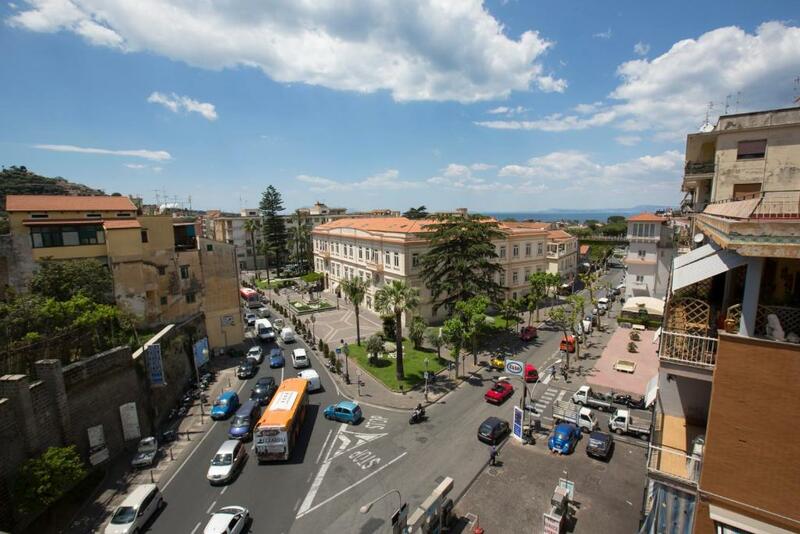 Naples is 30 miles from the bed and breakfast, while Sorrento is 1.5 miles away. The nearest airport is Capodichino Airport, 31 miles from La Piazza. This is our guests' favorite part of Sant'Agnello, according to independent reviews. 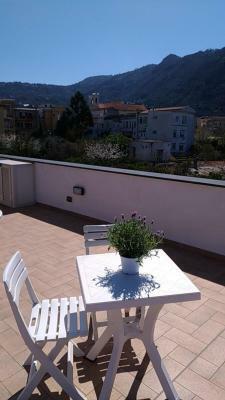 뀐 Located in the top-rated area in Sant'Agnello, this property has an excellent location score of 8.5! 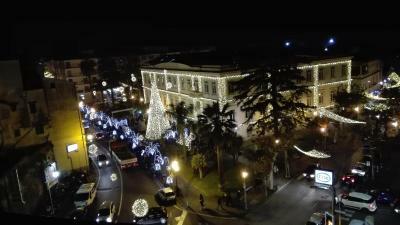 When would you like to stay at La Piazza? This twin room features a balcony, soundproofing and seating area. House Rules La Piazza takes special requests – add in the next step! Please inform La Piazza of your expected arrival time in advance. You can use the Special Requests box when booking, or contact the property directly using the contact details in your confirmation. Mediterranean breakfast was unwonted us, and we got every day croissant. The kitchen functions like a backpackers: dishes & cleaning done (or not done😒) by guests. Sponge for washing up was tatty. Coffee perculator leaked (sealing ring broken). Only one plate on gas stove worked. Kettle temparamental. Generally the kitchen felt too used. Bedroom & bathroom cleaned & serviced each day. Clean towels every second day. Clean linen every fourth day (we stayed there for 8 nights). Could WhatsApp Anna (owner & manager of property) for anything we needed. She would respond virtually immediately as the family live one story above La Piazza. Lovely balcony with small table & chairs with view over local square. Comfortable dining table inside. This was Anna's mothet's flat. Location brilliant: easy to catch local bus (buy tickets from tabacchi 250m away), Circumvesuvianum train station 200m away (buy train tickets for Vesuvius & Pompei trip, or for Herculaneum trip, or trip to Sorrento or any destination on the Circumvesuvianum route from ticket office on station). Many local restaurants: we enjoyed La Peppino! Mamas Bar very helpful (catch route C local bus, directly in front to Mamas Bar, to Marina Piccola for ferry to Capri)! Local supermarket, Netto, 50m down road. Well stocked! Lavanderia for laundry only +-200m away! Perfect stay for self-help tourists. No air-conditioning in the bedroom so it got quite humid. There was an electric fan. Google maps had linked the wrong address so we couldn't find the apartment as it is not signposted. But the owner came to meet us at Bar Pina which is the best way to find it. Quaint Italian apartment. Very clean. Owner was a pleasure to deal with, she came to clean our room and bathroom every morning and was available if we had any issues at all. Little balcony to enjoy breakfast on. Over a main road so quite noisy but that is unavoidable on a main road. The room and bathroom was dirty and in need of a good cleaning. There were ants in the room and in the hallway crawling all over the place. The breakfast at the place was very disappointing. Old facilities, location not so great. The sink in the bathroom is difficult to use. About half an hour walk to Sorrento but there is also a bus. Absolutely everything was perfect! Place is spacious and very clean. Room with stunning view, close to nice restaurants and shops. Great Italian coffee in the morning and delicious tarta was lovely surprise for us. Big THANK YOU to Diego and his mum Anna for making us feel welcome in their place. Great people. Highly recommended! Ciao!